King Frederick William I of Prussia (aka “The Soldier King”) was a skilled leader—adept at running his country’s economy and the military. 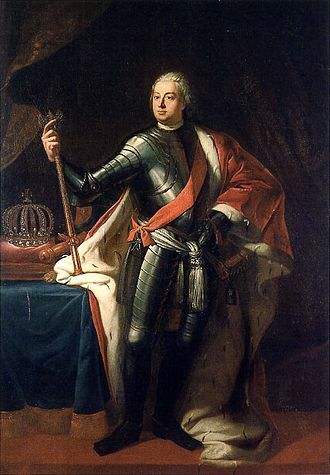 During his reign, between 1713 and 1740, he transformed the army of about 30,000 poorly-trained troops he inherited from his father, Frederick I, into an awe-inspiring army, over 80,000 strong. It would become one of the most formidable forces in all of Europe, expanding Prussia’s territories and transforming the German state into a European powerhouse. But there was another regimen of soldiers employed by the king. You see, along with his immense political talents and military smarts, Frederick William had a strange, borderline creepy obsession with extremely tall men—or, more specifically, soldiers. To be a part of this posse, you didn’t need to possess agility or a quick mind, or be handy with a musket. There was only one requirement: being over six feet tall. Indeed, these towering troops weren’t meant for fighting, but merely for show and for Frederick William’s personal amusement. The men enjoyed the best food and were given the most comfortable lodgings. There was also a kind of pecking order put in place: The taller you were, the more you were paid. Below the elaborate trappings, however, was a more sordid story. Though some of the soldiers volunteered for service of their own volition, many were kidnapped, sold, or bred into the regimen. Fathers were rewarded for surrendering their sizable sons; landowners for their towering farm hands. Even children weren’t spared: A red scarf was wrapped around the necks of newborn babies, “marking” them as a future prospect if they were thought to become unusually tall. It seems that no one was spared; not even an exceptionally tall Austrian diplomat who caught the king’s eye. He wasn’t the only foreigner to be bound and gagged, then sent to the German state to join the regiment’s ranks. To say that the king was obsessed with his gargantuan army would be a huge understatement. Indeed, he once proclaimed, “The most beautiful girl or woman in the world would be a matter of indifference to me, but tall soldiers, they are my weakness.” It would seem so. 24 Historical words ready to use today. When his was ill, men were paraded through his bedchambers. The only good thing about being among the king’s beloved army: The soldiers never saw active duty because they were too valuable to Frederick William. The role of these men was to amuse and entertain, not fight. And things would get even crazier. To assure that his army was the loftiest in all of Europe, Frederick William started dabbling in controlled breeding, pairing tall men and women to breed, you got it, tall soldiers. The king eventually banned the practice—not because men sometimes died on the stretching rack, but because Frederick William was afraid he would run out of soldiers. Any man who tried to escape was put to death. 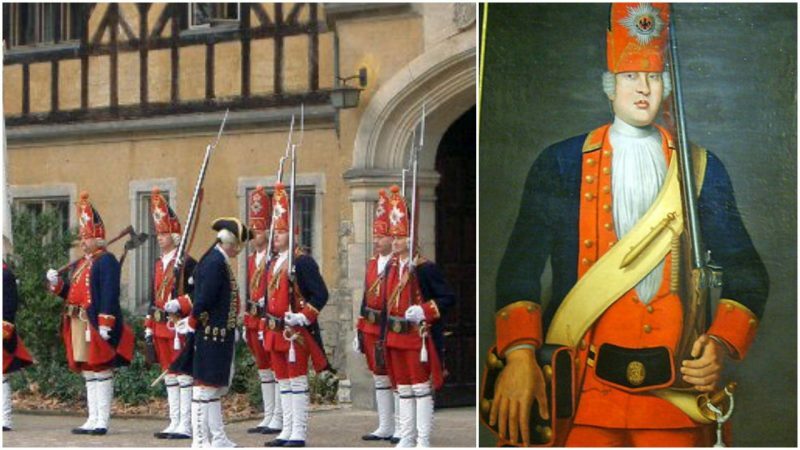 At the time of his death, in 1740, Frederick William had amassed no less than 2,500 towering infantrymen. 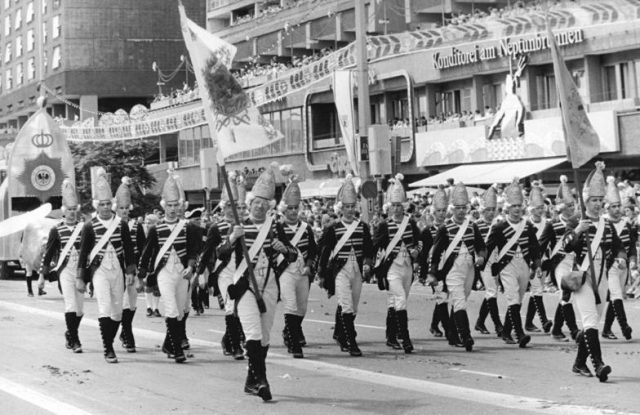 Alas, his son and heir, Frederick the Great, wasn’t as infatuated with his father’s army—in his eyes, nothing more than ineffectual show ponies. He sent many of them to active duty, for which they were woefully unprepared. The squadron was officially disbanded in 1806. Even so, the Potsdam Giants weren’t entirely forgotten and would leave an indelible—if horrific—mark on world history. 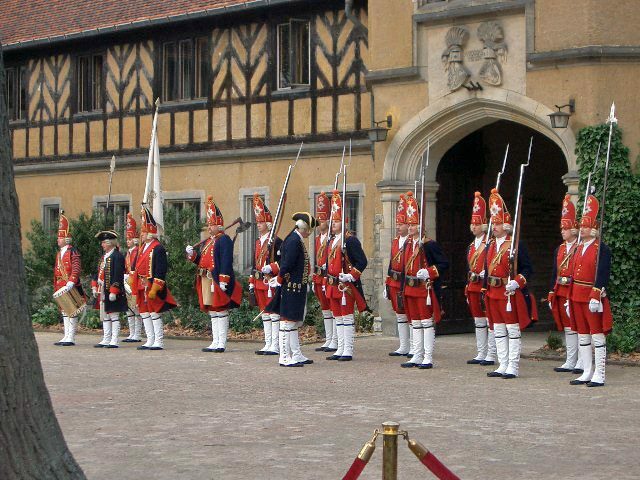 This entry was posted in Europe, Germany, History, World and tagged King Frederick Wilhelm 1, Potsdam Giants, Prussia by rolyred. Bookmark the permalink.